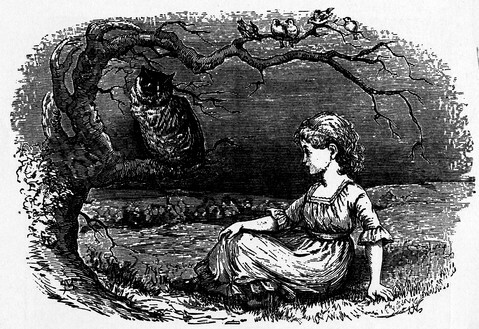 A young girl appears to consult with an owl for advice in this vintage black and white drawing. This wise owl drawing could easily be split into two separate drawings but that seems silly when it is so charming just the way it is. This copyright free owl drawing is downloadable and ready to be used in your next creative project.